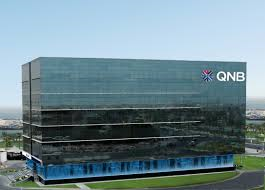 Qatar National Bank (QNB) said Saturday that the United States’ tapering of Quantitative Easing (QE) could act as a brake on global growth. The QNB said in a press statement here today that QE has already had a drastic impact on exchange and interest rates in recent months. Quantitative easing is the creation of money and purchase of financial assets from bank. As a result, banks would have more cash to loan and would eventually lead to a smoother process of financing projects. Tapering of QE means that US Federal Bank will slowly reduce QE, meaning that banks will have a smaller amounts of cash to finance projects. As a result of that policy, QNB says that global growth will be reduced. The statement has linked the weakening of the currencies of emerging markets as a result, in part, by the Fed’s decision. Emerging market currencies have weakened and global interest rates have risen significantly, as capital has flown out of emerging market assets. Stock Markets reacted strongly to the decision before its implementation: the S&P 500 stock index fell 4.8% over the next 5 days; the US Dollar appreciated by 620 pips against the Euro during the subsequent 3 weeks; and US 10-year sovereign bond yields rose from 2.19% to a peak of 2.74% on July 5. The distress about QE tapering started when Chairman of the Federal Reserve (Fed), Ben Bernanke, said on June 19th that the pace of bond purchases might be reduced as the US economy was strengthening. There was a knock-on effect in emerging markets to Bernanke’s statement. QE had created surplus liquidity in global financial markets, which was directed towards emerging markets in search of higher yields. This enabled emerging markets to have record low interest rates and an environment generally conducive to higher growth than in advanced economies. QNB said that concerns about QE tapering led investors to withdraw capital from emerging markets to take advantage of higher US bond yields. This led to: a 7.4% drop in the MSCI EM stock market index in 5 days; weaker EM currencies (JP Morgans EM currency index fell 2.5% in 5 days); and higher sovereign bond yields. The sudden drop in EM exchange rates forced a number of central banks to hike policy interest rates to help support their currencies. Central bank rates have been increased in Brazil, India, Indonesia, and Turkey. The drain in liquidity from EM and rising long- and short-term interest rates are likely to have a negative impact on growth by restricting capital available for investment and making borrowing more expensive. QNB said that the Federal Reserve tried to backtrack on the comments in July to temper the concerns about QE tapering. Members of the Feds monetary policy committee restated that QE will only be tapered when the economic data is strong enough. Bernanke himself said on July 11 that QE would remain in some capacity for the forseeable fututre. The result was the tha tUS government’s 10-year yields stabalized on 2.61%, lower than the rates in the first week of July. The drop decreased the differential with European rates, leading to a stronger Euro against the US Dollar. The Euro has been further boosted by recent better-than-expected manufacturing data. Market expectations are for the Federal Reserve to begin tapering its bond purchases from USD85bn per month to USD65bn per month following its monetary policy meeting on September 17th-18th. This is likely to lead to higher long-term US sovereign bond yields, driving up the cost of borrowing and acting as a brake on global growth. The announcement of QE tapering will probably lead to further capital flight from EM, weaker currencies and increases in central bank policy interest rates resulting in softer growth. EM have driven global growth since the financial crisis, but with the outlook for EM growth deteriorating and growth in advanced economies expected to remain muted, expectations for global growth are likely to be revised downwards, according to QNB Group.